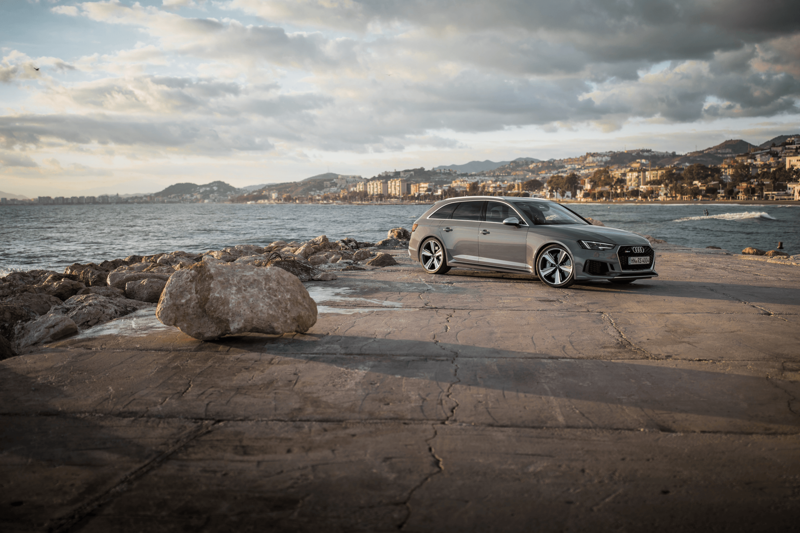 Audi has always done two things incredibly well: four-wheel drive and fast estate cars. 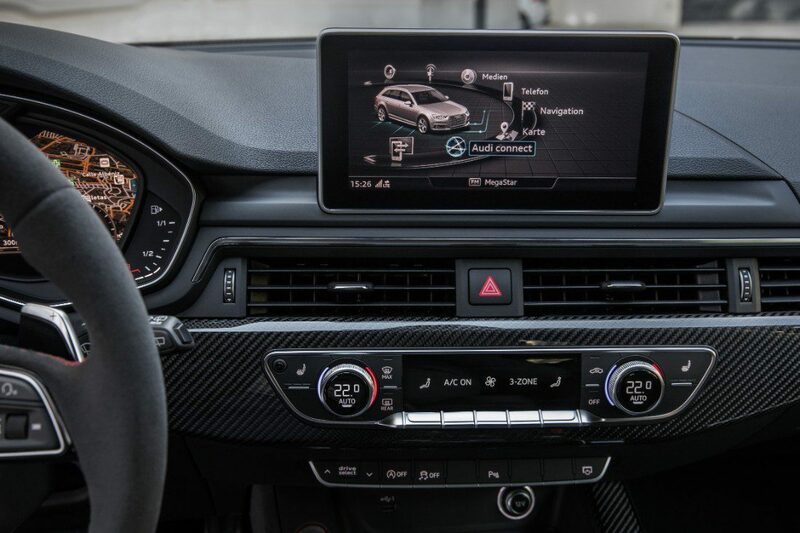 The new Audi RS4 Avant, then, carries a lot of expectation on its shoulders. On paper, at least, the new RS4 fits perfectly into the category of the only car you’d ever need. It’s practical, just peer into the 505-litre boot; it’s quick, just glance at the 444bhp 2.9-litre twin-turbo V6; it’s also very handsome, just look at it. Climb inside and its appeal is amplified; the cabin is a luxurious mix of soft leather, aluminium detailing and flashes of racy car bon fibre. The deep, figure-hugging bucket seats grip you firmly in place, and the speedo which swings it way around to 186mph gives you an indication of the performance on offer. Fire it up and despite the RS badge affixed to the rear of the car, you’d be forgiving for thinking you’d jumped into a rental-spec A4 Avant; it sounds a bit timid and far too restrained for a model from Audi’s RS range. 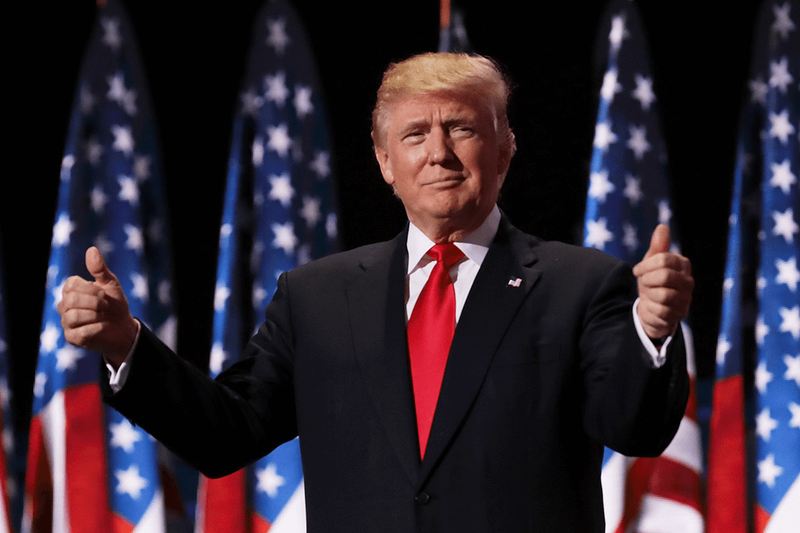 The blame lies squarely with the new engine. 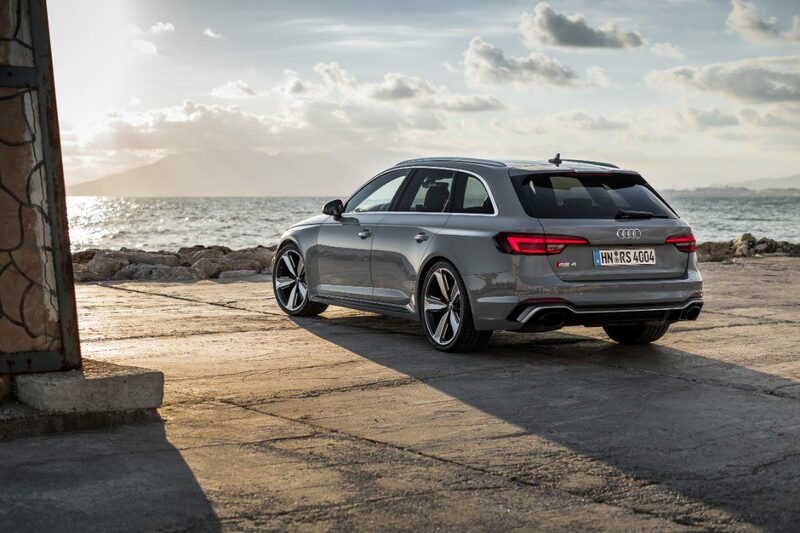 The 2.9-litre twin-turbo V6 has replaced the old 4.2-litre V8 from the previous RS4 – and bigger is always better. But while its vocal range might not reach the same crescendo as before there’s no arguing with its ability. 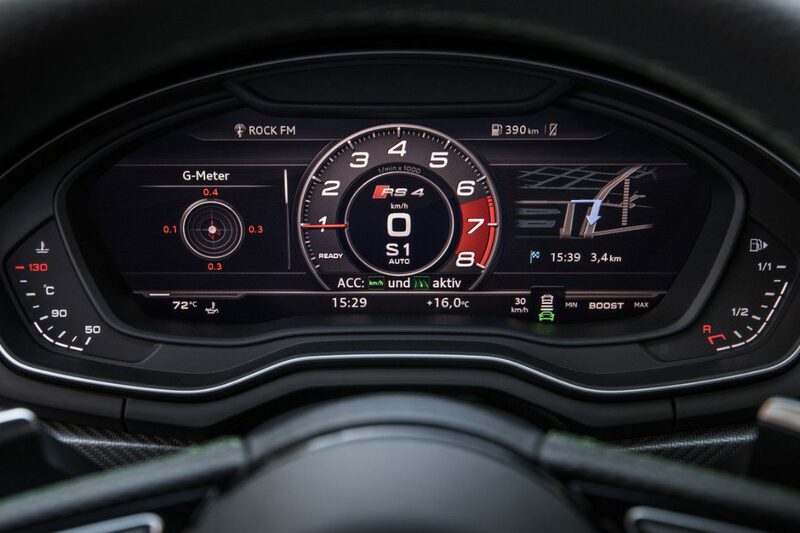 Pin the throttle and the Audi RS4 bites into the tarmac and catapults itself down the road; Audi claims 0-62mph in 4.1 seconds, which is over half a second faster than the old model. 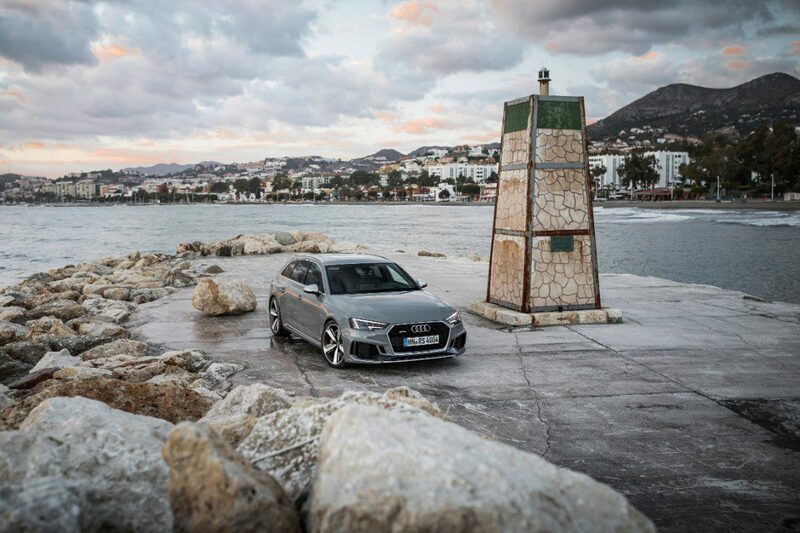 The quattro all-wheel drive system means progress is drama free and completely addictive. 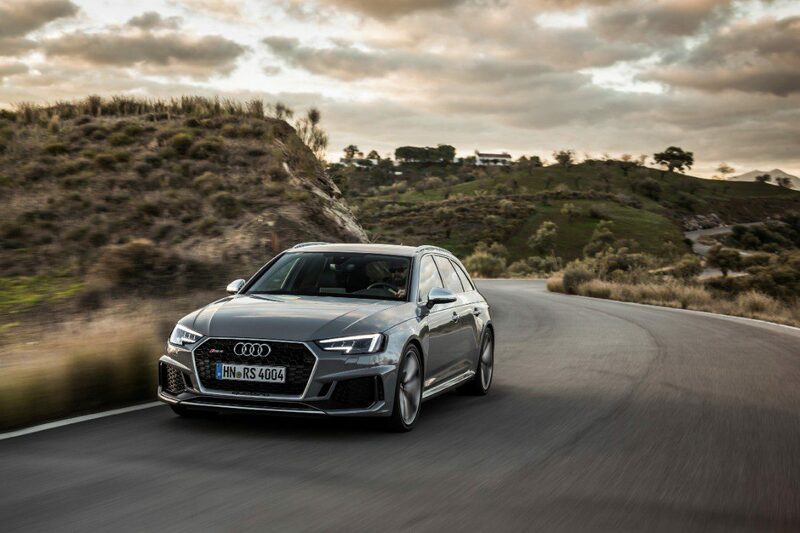 Once you’re into the heart of the engine’s power it begins to sound like an Audi RS should, with a deep-chested bellow and unapologetic burbles from the exhaust as you lift off the throttle. 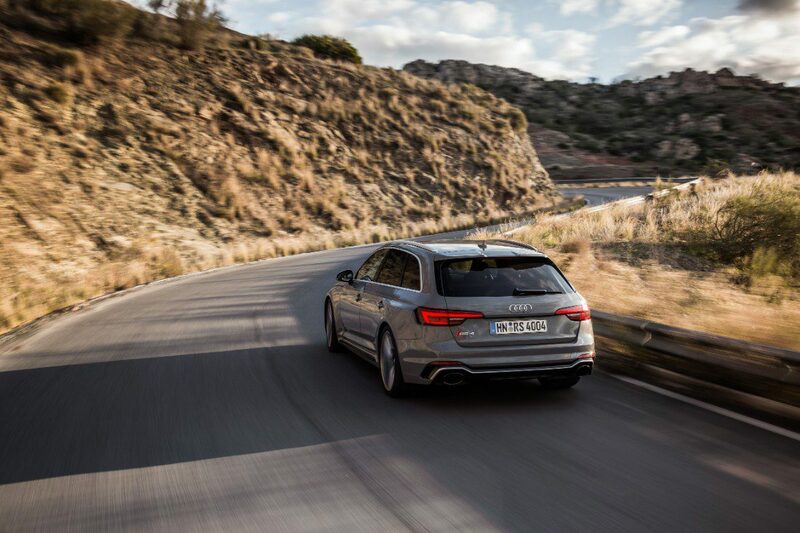 Best of all, when you’re not draining the fuel tank, the RS4 behaves like a comfortable, refined and polished family car. It might empty your wallet to the tune of £62,000 but you do get an awful lot of car for your money.